Southend Fairtrade Town Campaign and The Co-operatve Food were in Southend High Street Farmers Market today (27 February 2010)to help promote Fairtrade to shoppers. It was great to see so many people interested in Fairtrade and pledging to support with their purchases. Free samples of Fairtrade pineaple, tea, chocolate and cake were handed out to passers by. Many commenting on the quality and taste. The Stables, a community venue, used by many people of Leigh-on-Sea and beyond for functions, meetings and community activities week in week out, re-committed their business to remaining a Fairtrade workplace for the next year. Jane Brookes, Bookings Manager at The Stables told us, "Being a Fairtrade workplace is important to us, we use Fairtrade, Tea, Coffee and Sugar in our offices and actively encourage users to choose Fairtrade with posters. We are committed to remaining Fairtrade supporters." Fairtrade was high on the agenda at the weekly Leigh Road Baptist Church coffee morning. Every Thursday at The Stables, Chalkwell Park Drive, Leigh-on-Sea people gather and enjoy a Fairtrade tea and coffee, as well as enjoying quizes, chating with friends and often a short talk from a visitng speaker. On Thursday 25th February 2010, David Elcock from the Leigh-on-Sea Fairtrade Town campaign visited and thanked the coffee morning regulars for their weekly support of Fairtrade. Videos were shown on the impact Fairtrade is happening to lives of people in developing countries. On a wet Monday morning, staff at Southend Central Library welcomed customers with a cheery cuppa as part of the Big Brew – which marked the national launch of Fairtrade Fortnight. Library visitors were offered a cup of Fairtrade tea or coffee and a biscuit in return for a donation. Whilst enjoying their brew, they had the opportunity to chat with staff to learn more about the charitable Fairtrade foundation, browse promotional material and watch an informative DVD. Fairtrade Fortnight runs from 22nd February to 7th March 2010. With various events throughout the borough, Southend is aiming for Fairtrade Town status. The message this year is ‘The Big Swap’ which asks consumers to consider swapping one item in their regular shopping basket for a Fairtrade one; it could bananas, coffee or cotton socks – just one thing will help make a big difference to the lives of the suppliers. There is a Fairtrade Directory available from the Ground Floor Foyer, which lists all suppliers in the local area from coffee shops to theatres to hairdressers. Pick up your copy to help you make the Big Swap, plus your chance to win £100 in Co-Operative Food shopping vouchers! For further information on Fairtrade and the Big Swap please go to http://www.fairtrade.org.uk/. The Co-operative Group is gearing up for its biggest ever Fairtrade Fortnight* following its acquisition of the Somerfield supermarket chain last year, which could boost Fairtrade sales by some £40m per annum. The Co-operative has led the way on Fairtrade. At the time of the acquisition, Peter Marks, Group Chief Executive, pledged The Co-operative’s commitment to ethical trading would be extended to the Somerfield estate and now, for the first time, Somerfield stores will be championing Fairtrade, along with thousands of Co-operative stores across the UK. In 2008, as part of its Food Ethical Policy, The Co-operative became the first retailer to convert its entire own-brand hot drinks category of tea, coffee and hot chocolate to Fairtrade. The Co-operative, now the fifth biggest food retailer, has taken this commitment further by introducing its Fairtrade hot drinks range into Somerfield stores, along with many other Fairtrade lines as part of the integration process. Somerfield stores already converted to The Co-operative are stocking the retailer’s entire range of branded and own-brand products, including its extensive Fairtrade grocery range, which covers everything from chocolate to fruit and nuts, cereals, hot and cold drinks, cakes and a market-leading wine range. The Co-operative’s latest move makes Fairtrade accessible to millions more shoppers, and will benefit hundreds of thousands of growers in some of the world’s poorest countries, including Malawi. “The Big Swap” is the main theme for this year’s Fairtrade Fortnight, to encourage people to switch their usual products for ones carrying the FAIRTRADE Mark to help producers in developing countries. As an added incentive, there is up to 20% off selected Fairtrade products at Co-operative and Somerfield stores**, including the retailer’s iconic 99 Tea range, to encourage shoppers to switch their cuppa to Fairtrade. The Co-operative’s long-term commitment to Fairtrade is demonstrated by its involvement in a unique project designed to empower small-scale tea producers in Kenya. The project, one of the largest Fairtrade projects in the world, aims to help 8,000 smallholders to form co-operatives, achieve Fairtrade certification and diversify into other products. It is anticipated that the growers will eventually be able to supply The Co-operative with tea for its 99 Tea blend. 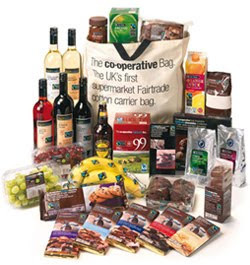 Additionally, in 2010, The Co-operative will spend an additional £500,000 on a number of development projects offering benefits even beyond the existing Fairtrade commitments. Peter Marks said: “The Co-operative has led the way on Fairtrade, having championed the FAIRTRADE Mark since its inception, and our pioneering development work has helped the UK become one of the largest Fairtrade markets in the world. The Co-operative Food & Membership with join with Southend's Fairtrade Borough Campaign Volunteers in Southend High Street on Saturday 27th February at the Farmers Market. With Fairtrade items on sales, sampling and a free Co-operative voucher which can be taken and redeemed in Co-operative stores during March. With £3 of when you spend £7 of Fairtrade items. Also maybe a live Fairtrade Tea Dance. * Fairtrade Fortnight, which this year runs from 22 February – 7 March inclusive, is the annual nationwide campaign led by the Fairtrade Foundation to promote awareness of Fairtrade and to encourage people to buy products carrying the FAIRTRADE Mark. As part of “The Big Swap”, the Foundation is hoping to get people in Britain to make one million and one swaps over the two-week period. ** The Co-operative and Somerfield are offering up to 20% off selected Fairtrade products from now until 9 March inclusive. 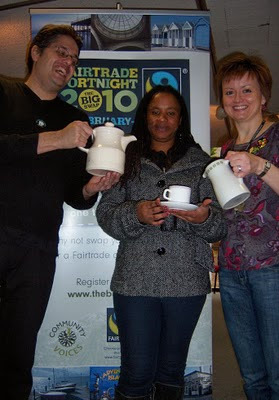 SOUTHEND Council is urging residents to support Fairtrade Fortnight which starts next week. The Southend Together Partnership, which involves the council and other groups, is teaming up with Britain's biggest supermarket chains to support The Big Swap as part of the campaign. The fortnight starts on Monday (February 22) until March 7, and aims to raise awareness of how shoppers can make a difference to the developing world by buying Fairtrade products. The aim of The Big Swap is to buy a Fairtrade alternative instead of one of your usual purchases, to show support for producers in the developing world through what you buy. Councillor Andrew Moring, a member of Southend Council's Fairtrade Steering Group, said: "As a partnership, Southend Together understands the importance of Fairtrade on both a local and global scale. "Recent research commissioned by the Fairtrade Foundation shows that recognition of the Fairtrade brand is increasing. "More people understand how the Fairtrade mark is helping to make a better deal for producers in the developing world." Information about Fairtrade products will be available at the following venues where the Southend Together Partnership will be encouraging shoppers to take part in 'The Big Swap': Asda, in North Shoebury Road, Shoebury on Tuesday Feb 23, Sainsburys, in Southend High Street on Thursday, March 4, Waitrose in Eastern Avenue, Southend, Saturday, February 27, and Tesco in Prince Avenue, Southend, on Monday March 1. Fairtrade aims to establishing better prices, decent working conditions, local sustainability and fair terms of trade for farmers and workers in the developing world. Come and join us for a cup of Fairtrade tea and a biscuit to celebrate the launch of Fairtrade Fortnight. 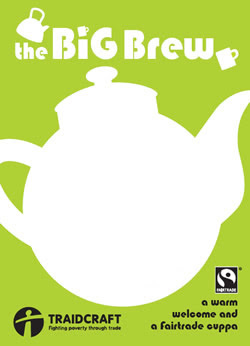 Southend Libraries are pleased to take part in The Big Brew, a national initiative by Traidcraft. The aim is to raise awareness of Fairtrade and the issues faced by tea producers in the developing world. Did you know that only 10% of tea sold in the UK is Fairtrade? Learn more about the tea trade and how you can make a difference to the lives of the tea growing communities, by joining Traidcraft’s campaign. We will be serving Fairtrade tea, coffee and biscuits in return for a donation. Come along and join us for a cuppa with a conscience! Southend Together Partnership is teaming up with Britain's biggest supermarket chains to support 'The Big Swap' as part of Fairtrade Fortnight. The campaign, which runs from February 22 to March 7, aims to raise awareness of how shoppers can make a difference to the developing world by purchasing Fairtrade products. By swapping just one of your usual purchases for a Fairtrade alternative you can show your support for producers in the developing world through what you buy. Councillor Andrew Moring, a member of Southend-on-Sea Borough Council's Fairtrade Steering Group, urged the town's residents to support Fairtrade Fortnight. He said: "As a partnership Southend Together understands the importance of Fairtrade on both a local and global scale. "Recent research commissioned by the Fairtrade Foundation shows that recognition of the Fairtrade brand is increasing. More people understand how the Fairtrade mark is helping to make a better deal for producers in the developing world." Note to journalists: Fairtrade is about establishing better prices, decent working conditions, local sustainability and fair terms of trade for farmers and workers in the developing world. Offering a fair price for goods enables them to improve their position and have more control over their lives. The latest range of Fairtrade cotton clothing to be introduced this spring for Fairtrade Fortnight (22 February – 7 March) includes innovative use of fabric and trend-lead design. 2010 is an important milestone as it marks the fifth year anniversary of the introduction of Fairtrade cotton into the UK market. This year will see an exciting number of partnerships with celebrities, designers and photographers to celebrate five years of Fairtrade cotton supported by a campaign to make fashion fairer. The new directional collections made with Fairtrade cotton include casual essentials such as roll-up trousers, leggings and frill detail T’shirts vamped up with flirtatious peek-a-boo blouses and pretty button camisoles which give a feeling of romantic innocence. The Fairtrade Foundation now works with over 100 cotton licencees – a mixture of brands, retailers and companies. This enables them to use the FAIRTRADE Mark on cotton products, meaning that cotton farmers in the developing world are getting a better deal: receiving a fair and stable Fairtrade price for their cotton in addition to the Fairtrade premium. Ascension (formerly Adili) are launching a range of limited edition Fairtrade cotton t-shirts with prints designed by celebrities: Jacquetta Wheeler, Ann-Louise Roswald, Natasha Law & Jo Wood. Lisa Butcher is designing a Fairtrade cotton t-shirt for Long Tall Sally and the Beckhams have designed a Fairtrade cotton t-shirt range for Sports Relief in TK Maxx. We would like to ask our local schools to have a snack attack. 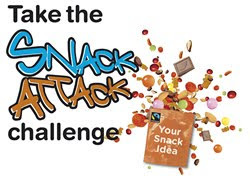 Almost 900 schools have already registered to take part in the Traidcraft Snack Attack Challenge, their competition that gives schools the opportunity to design a new fair trade snack, its packaging and a marketing campaign. They have also received the first entry, which they say was greeted with much excitement, whoops, cheers and a little dance around the office! Don’t miss out on your opportunity to take part – download a pack – entries must be received by 31st March.